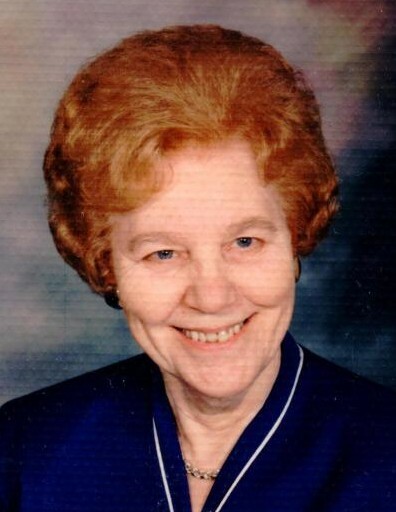 Evelyn L. Stein, 94, of Harrisburg passed away Saturday, September 8, 2018 at her home. Born October 31, 1923 in Rutherford, she was a daughter of the late James O. and Iva L. (Attick) Chrisemer and widow of Clair R. Stein since January 2004. She was also preceded in death by five siblings and granddaughters Nicole and Amanda. A lifetime member of Trinity Evangelical Congregational Church, Harrisburg, she was a former Sunday School Teacher and Superintendent. Surviving are her children Gary R., husband of Bula Stein of Powhatan, Virginia, Diane S. Knaub of Marysville, Craig A., husband of Deborah Stein of Harrisburg, and Nancy S. Pysher of Harrisburg; seven grandchildren; ten great grandchildren; and two great great grandchildren. A funeral service will be held 11:00 AM Wednesday, September 12, 2018 at her church, 165 North 67th Street, Harrisburg preceded by a viewing from 9:30 AM. Interment in Churchville Cemetery, Oberlin. Memorial contributions may be made to Trinity Evangelical Congregational Church, 165 North 67th Street, Harrisburg, PA 17111.